Your kitchen is the most heavily used room in the home. As such, it stands to reason that it should be designed to facilitate the work that goes on in there, and understanding the kitchen work triangle is important for this. There are three primary work areas in any kitchen: the stove cooktop, the sink and the refrigerator (the oven is not part of a traditional “kitchen triangle”). The kitchen triangle is formed by drawing imaginary lines between these three items. The space within that triangle is your work triangle. 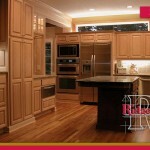 A well designed kitchen remodel can help you maximize the use of this space easily. The concept of the kitchen triangle has been around for decades and still stands as a basic guide for laying out an efficient kitchen. Beyond the basics, though, you will likely want to consider a few more things; nearly every kitchen has a microwave (ideally placed for easy access from the sink, and not too far from the refrigerator), and many kitchens are used by more than one person during the meal prep. When there is sufficient space, or when the basic triangle gets too large, a second sink can be added, which then changes the ‘primary’ triangle to include the sink used primarily when cooking – rather than the sink used primarily for cleanup or prep work. A knowledgeable kitchen designer understands these concepts, and can help you achieve a layout that functions ideally, taking into consideration your specific needs and available space. 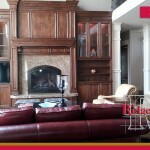 By working with a design build kitchen remodel contractor, you can do a number of things. 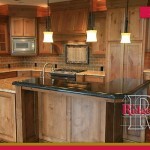 For instance, if you want to gut your current layout and get a custom kitchen, your contractor can create a unique layout and plan that hinges on your work and usage needs. If you spend more time moving from the refrigerator to the sink than from the sink to the stove, you can change the floor plan and layout to match that. A kitchen remodel allows you to build a kitchen around the way you work, allowing you to save unnecessary movement and time. Moving the location of the stove, sink and refrigerator in reference to each other, you can create shorter distances to save you time during food prep and cooking, but also add your own unique aesthetic so that the room doesn’t appear cramped or small. 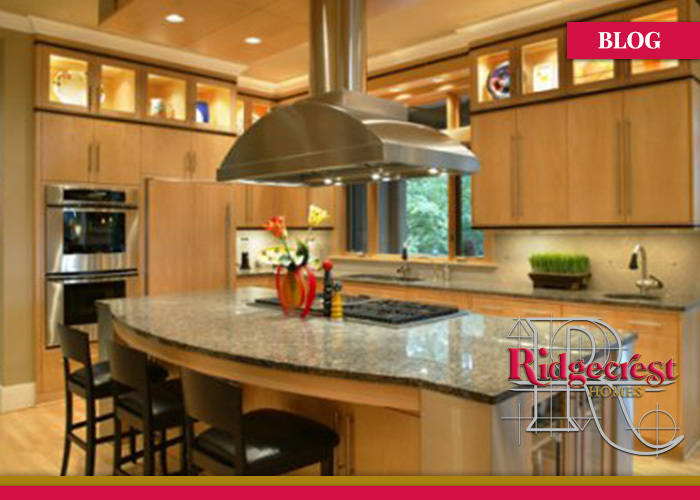 Ideally, your kitchen remodel will be undertaken by a contractor who understands the basic rules of the kitchen triangle. For instance, no triangle leg should be shorter than four feet. On the other hand, lengths of more than nine feet increase your energy expenditure and time. All cabinets should be clear of the triangle legs by a minimum of 12 inches. Choose your kitchen remodel contractor with care and make sure that he or she understands your usage needs – the kitchen of your dreams is possible with the right help.